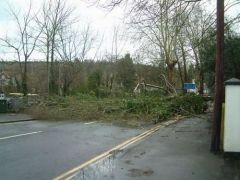 This photo was taken shortly after the tree fell blocking the road. 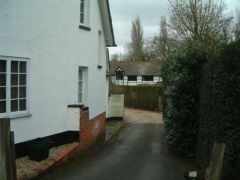 The driveway of a building in Remenham. 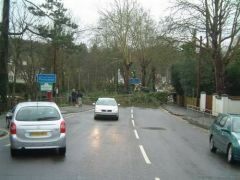 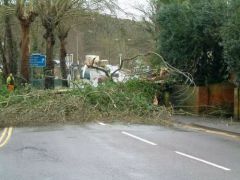 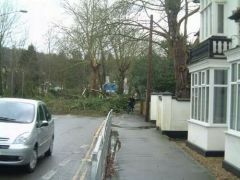 A tree blocks the road to Henley Bridge during January 2007's storms. 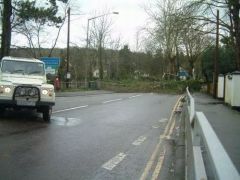 Even this 4x4 can't get past this fallen tree. 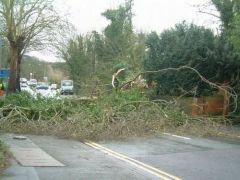 A close-up view of a fallen tree in Remenham in the January 2007 storm. 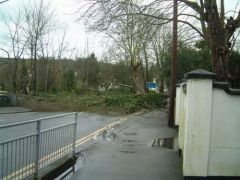 A fallen tree blocks the road just over Henley Bridge in Remenham. 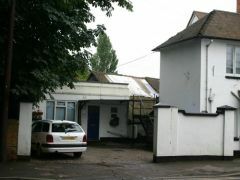 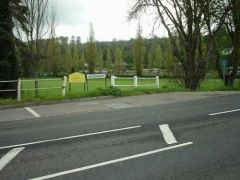 The small car park for the white office building located next to the bridge on the Remenham side of the River Thames. 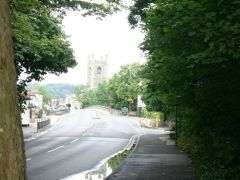 A view of Henley Bridge and Saint Mary's Church taken from the Remenham side of the river. 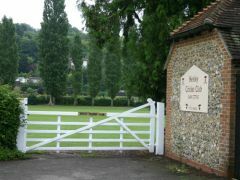 The entrance gate to Henley Cricket Club which is located on the Remenham side of the River Thames. 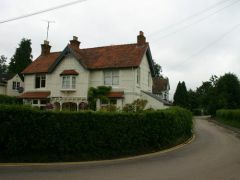 A close-up view of The Little Angel public house that is located in Remenham. 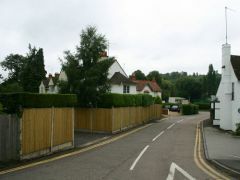 Remenham Lane passes between residential houses of the left and The Little Angel on the right. 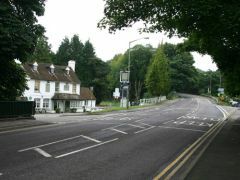 Remenham Lane branches off Remenham Hill past The Little Angel and runs parallel to the River Thames towards Aston. 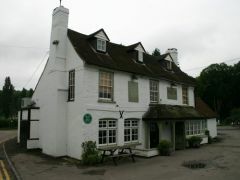 The Little Angel public house is situated at the bottom of Remenham Hill. 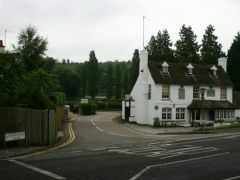 The Leander Club is located next to Henley Bridge on the Remenham side of the river. 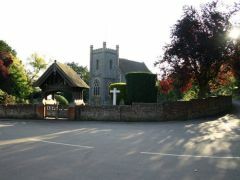 The small beautiful church in Remenham. 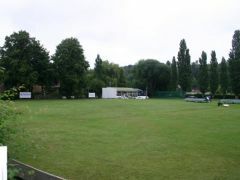 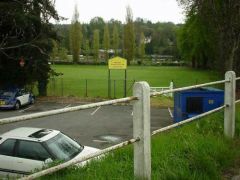 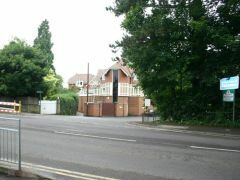 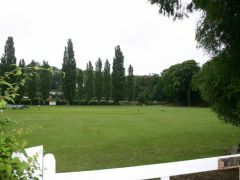 The grounds of Henley Cricket Club are located next to The Little Angel public house along Matson Drive. 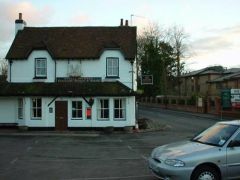 The Two Brewers public house that sits at the start of the main road from Henley to Wargrave. 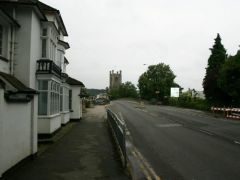 Matson Drive is the small stretch of road that joins Henley Bridge to Remenham hill. 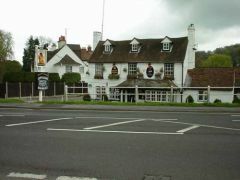 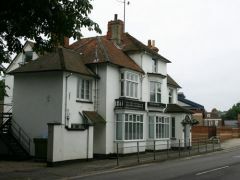 A closer view of the Two Brewers public house. 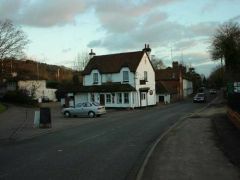 The Two Brewers public house in the small village of Remenham. 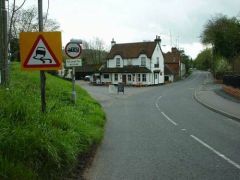 The road heads off in the direction of Wargrave village.